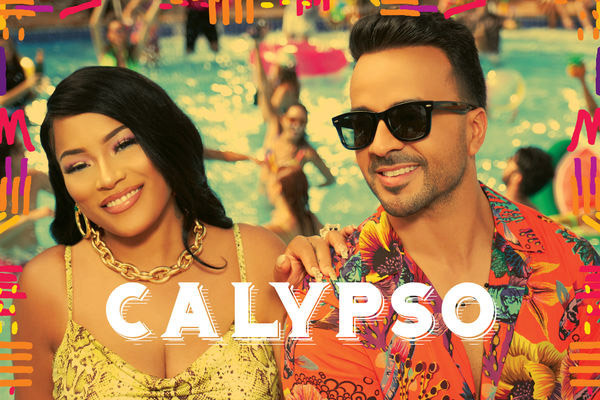 MUMBAI: After much anticipation, the award-winning artist Luis Fonsi is finally releasing today his brand new single titled Calypso,” ft. British -Jamaican rapper and singer Stefflon Don. When you hear the first cords of “Calypso” you are immediately transported to a summer trip where fun and dancing awaits you, and it doesn’t stop here. Fonsi and Stefflon Don’s voices are the perfect combination for the different music genres mixed in the song, including tropical, Latin Pop, Caribbean beats, and rap. “I’ve been very excited about this song for a while now because of how it makes me feel every time I play it. Calypso for me represents fun, colors, Caribbean vibes, and beach, basically a good time,” said Fonsi. The song has a fresh sound an island sound and it plays again with three languages, Spanish, English and even a little bit of French. When we went to the studio to record the track, I wanted to have a female voice that will give it that special touch and Stefflon Don was it. She is an incredible artist, super talented, her style and that combination of British accent with her Jamaican flavor was exactly what the song needed. Calypso was written by Luis Fonsi, Dyo, Mauricio Rengifo, Andrés Torres, Stefflon Don and produced by award-winning producers Andrés Torres and Mauricio Rengifo. The release of the single comes with a hot new video, available now on YouTube, directed by Elastic People’s Creative Director Carlos Perez, responsible for the most watched videos in history, Despacito and Échame La Culpa. Filmed once again in Puerto Rico, specifically on Palominito Island, the video showcases the island’s incomparable beauty, the almost transparent water, white sand and a fun party that reflects the joy of its people from older to the youngest, who despite the ravages of Hurricane Maria, never lost that warmth and desire to live life to the fullest. “Calypso promises to become another international hit for Fonsi’s incredibly successful and award-winning music career, all while he continues to sell out arenas and theaters with his acclaimed ‘Love and Dance World Tour’. It has been a year since he kicked off the tour, performing in different countries around the world, and on July and August, it will continue in Europe (for the second time due to high demand) and Asia. MUMBAI: Spanish DJ/producer Danny Avila is still riding high off of one of his biggest season’s yet. MUMBAI: Multiple Grammy Award winning DJ/producer David Guetta has released his long awaited new studio album titled ‘7’ today. Guetta knows exactly where to take his craft and music, introducing a groundbreaking new album for this dance music pioneer. MUMBAI: The Croatian duo of Luka Sulic and Stjepan Hauser, better known as 2CELLOS, return this Fall with their all-new album, Let There Be Cello, set for release on 19 October via Sony Music Masterworks.